CIR – (Carpet Inspection & Repair) The Carpet and Leather Specialists. At CIR we are proud to offer you the most reliable solutions to your carpet and leather cleaning needs in Whangarei and the Northland area. We are confident that the service we offer you is unique with its quality finish. 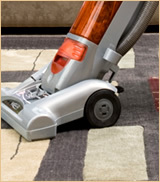 Carpets are expensive, and regular cleaning is necessary to keep them looking new. Proper maintenance of your furnishings can keep them smelling and looking brand-new. 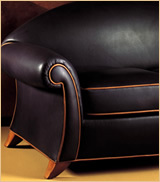 Working as part of the Leather Doctors we carry out the specialised cleaning of Leather furniture. We are able to help with carpet inspection for insurance claims and dispute resolution. We specialise in Carpet and Upholstery cleaning using environmentally safe, Biodegradable cleaning chemicals that are derived from renewable seed and vegetable sources. They contain NO perfumes, VOC’s, solvents, phosphates or other hazardous products. We are fully trained through the Institute of Inspection, Cleaning and Restoration Certification. (IICRC) as a Master Cleaning Technician and a Senior Carpet Inspector.